I read Elliot’s post yesterday about not appraising domains when people ask him to and it motivated me to post this. I get lots of domain opinion requests also, I imagine all the domain bloggers do. Recently I got an email from a guy that said he was “relatively new to domaining” and wanted to “leverage [my] experience to hopefully sell some of them”. He asked if I would please take a look at his list and tell him what I thought, so I did. Although I get LOTS of requests I try to be cordial, helpful, and honest, but many times, like in this situation, no matter how much experience I can leverage, I am just no help at all. I was not going to post this out of respect for privacy but then I figured WTF, maybe this will help him “sell some of them”, maybe one of my readers will buy a domain from his list below. if you wanna take a look at my portfolio. but I am very picky. you money not make you money. You are trying to make money right? at Namejet.com or Godaddy auctions and go from there. the pitch on why I should buy one of these domains? 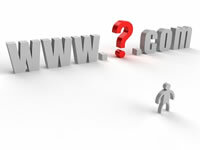 recent sold domains at my www.domainshopper.com. to start over, it is common with domain investing. I thought creativity mattered in any industry whether its domaining, music, film. etc. Pls check the following link and let me know if there’s a word you don’t understand. might be able to “enlighten” you on something. industry, I hope you do good selling or developing your domains. It’s funny you say that you don’t understand what: ie. SIZZLEOFTHEGRIDDLE.COM means. confidence, that’s all I’m trying to do. In addition to being a broker, I also own a record company dealing in hard to find and rare records and music items. While Mike (as we all know) has hundreds of thousands of domain names, it works the same way as my record company. Huge inventory to sell enough items to make a profit. The only difference is, Mikes warehouse space cost less then mine for storing domain names vs records. The guy has lotto tickets. Hope he hits. I agree 100% with you. I don’t get any of these domains. Maybe they mean something to someone or some other language but not me. I admire you for being so polite. I like your comments at the top of each list. Your reply to him was dead on. Buy 1 good name instead of a bunch of nonsense. And he picks the one name that you can actually read. I have heard the term “thrill of the grill” 100’s of times. Sizzleofthegriddle, not so much. As it turns out thrillofthegriddle.com is still available for REG FEE. His list is almost better than mine. Will be on the market soon. My galfriend Martha Steward will test it out. Hey folks, please please convert your negative insulting criticisms to positive karma energy. With the exposure of this great domainpicks.com blog,you never know some of his domains might sell for high $$$$. At least you can say they have potential. Passin the pipe to you all…. I’m less concerned about Wahib’s newbieness (we were all there) but more concerned about his total rudeness to you. I probably would have stopped the conversation after his first whiny email. He wasn’t looking for advice but for affirmation. You can’t educate a person like that. On Namepros, I like to help others when I can, and most of the time, people are grateful, but there are a few whiners who need to mind their manners. Actually I was thinking we could all chip in $10 or $20 and buy one of his domains but I can’t find a domain to buy from his list that won’t just give him false hope, I fear he will just take the money and go get more of these or actually pay the renewal fees on the ones he has? That person was utterly rude but very patient and polite of you Mark. And as you said he might just be very frustrated and fails to realise that taking criticism is one of the key ingredients of success. Hope he masters this skill and takes all the comments from this blog post on board. Wishing wahib all the best. I agree FazK, I also wish Wahib all the best…. I hope WAHIB comes across a name more suited to him. Like “I’m to Stessed.com”.